Medellin has by far been one of my favourite cities to vist. I don’t often fall in love with cities, I usually perefer the smaller towns and the places filled with nature, but Medellin along with a few others have been the exception. Medelllin is located at an altitude of 1,500 above sea level. This slight elevation and it’s proximity to the equator is what gives Medellin it’s perfect, year round weather. It is known as the city of eternal spring amongst other things. The people of Medellin, known as paisa’s, are very friendly, happy and extremely proud people. With a city that was once known as the most murderous city in the world to a city that was voted to most innovative city in 2013, what have they got to not be proud of? Here is my ultimate to guide to Medellin to help you fall in love with this city like I did and see the best it’s got to offer. 1. Do the free city walking tour. Sometimes, I can find walking tours to be a little boring..but not this one! Firstly, it’s free which is awesome for people on a budget and secondly, Medellin is the second biggest city in Colombia so it can be a little over whelming when you first arrive and this tour helps you get aquainted with the city. As this tour is very popular, you HAVE to book it two days in advance, just jump on the Real city walking tours website and sign up, it’s as easy as that. 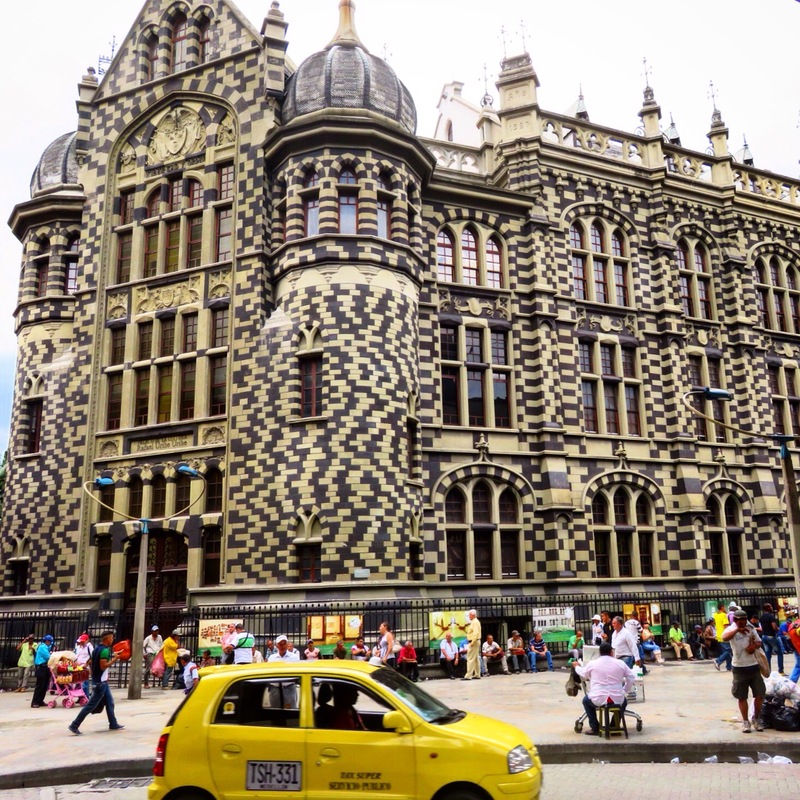 This tour teaches you about the paisa’s, the history of Medellin and shows you just how hard and how far Medellin and it’s people have come since it’s awful past. 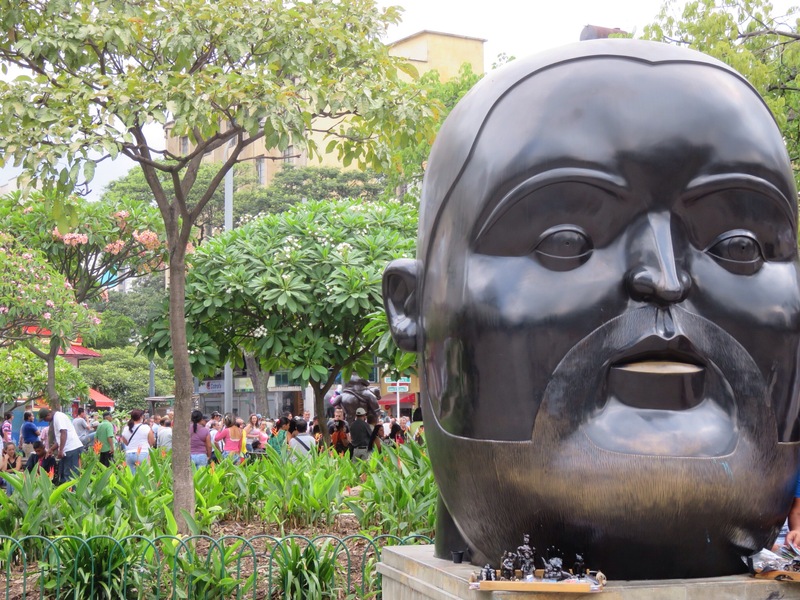 A real touching part of the tour for me, was when we were taken to a plaza that had two statues in it that were donated from the famous artist Botero. There used to only be one. One day during a concert in the plaza, a backpack full of explosives was put inside the bird staute and it exploded, killing and injuring lots of people. The artist pleaded not to have the statue removed as he feared the people of Medellin would forget, due to the horrible time it was going through, something like this was not that signifigant. Instead, the artist donated another staute to put beside it. Our guide told us that these two statues represent what Medellin is to him. The statue that was blown up is the past, sad, violent and dark. The new statue is the future, full of hope and happiness. 2. Do the Pablo Escobar tour. 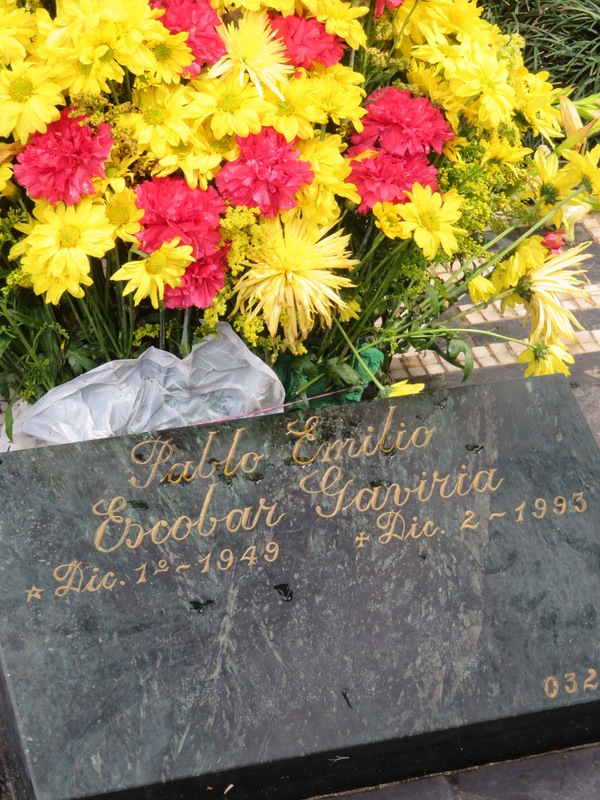 Pablo Escobar and the drug Cartels play a huge part in Medellin, and Colombia as whole’s history. Before I came to Colombia, I didn’t really know too much about Pablo Escobar except that he was a drug lord and a murderer who ruined millions of lives. Doing this tour realy helped me to understand Colombia’s history and made me apprecaite how much of a beautiful country it is today. The tour I did was owned by Pablos brother, Roberto (see my previous post for more info). You can book this tour through your hostel. I booked mine through The Pitt stop Hostel. 3. Take the cable car up to Santo Domingo. Get off the Metro at the Acevedo stop and take the cable car up to Santo Domingo. The cable car was put into place in 2004 to help the people living in the under developed places up in the hills be able to access the city easily. Before the cable car, these people would walk for hours down the hill to get to work or school and then hours back up again at the end of the day. This cable car has helped to clean up the ‘slums’ which even just five years ago were extremely unsafe too visit. If someone didn’t know who you were, you would be shot on the spot, no questions asked. These days it is much safer to travel to if caution is used. The good thing about the cable car is that you can stay on it the whole time if you wish and just take in the views, safely from your cable car cabin as it takes you back down again. The views are simply facsinating and breath taking at the same time. 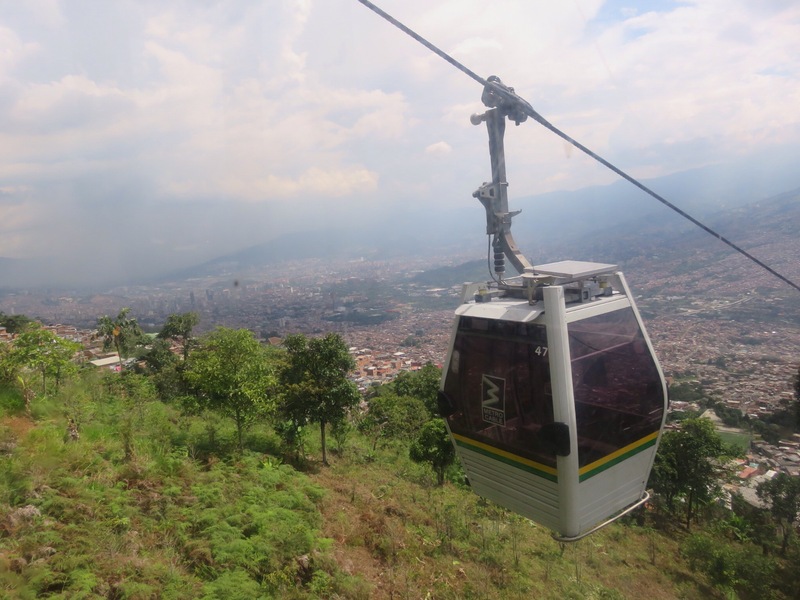 If you get off the cable car at Santo Domingo, you can hop on another cable car (you have to pay extra) and go up, over the mountain and out of the city to parque arvi. 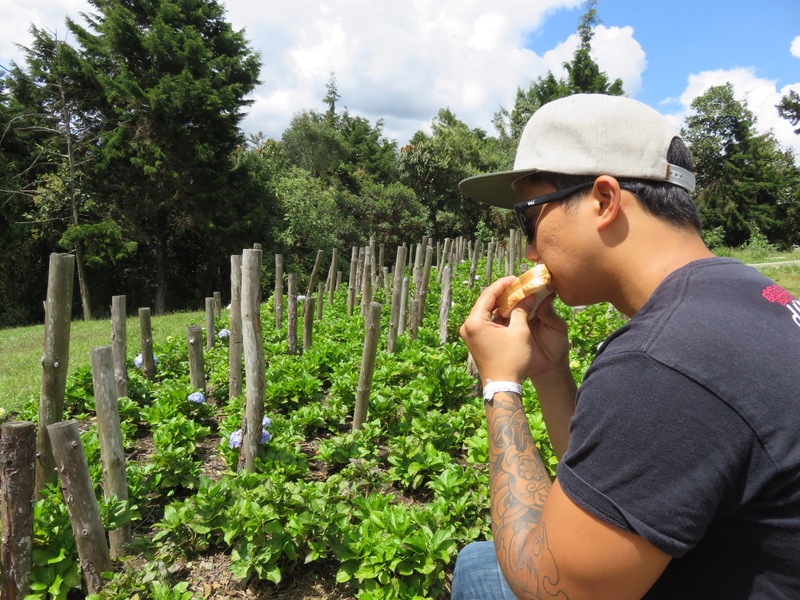 Here you can do a free three houre guided hike, walk around the stalls full of local foods and handicrafts, take a stroll around on your own, have a picnic or eat some typical Colombian food at one of the many restaurants. 5. Check out Plaza Botero. Plaza Botero is located in downtown which is something to see within itself. As mentioned before, Botero is a famous artist. He donated all the statues to the city of Medellin, each worth a few million dollars. I think they are really weird, abstract statues that i dont really understand, but it’s still a really cool place to loook at. In the plaza, you will also find lots of vendors selling this like hats, sun glasses, food and a bright green coloured drink. I cant remember the name of the green drink but you have to try it! It’s made from lime and sugar cane juice and it tastes so delicious and refreshing. 6. See a soccer game. 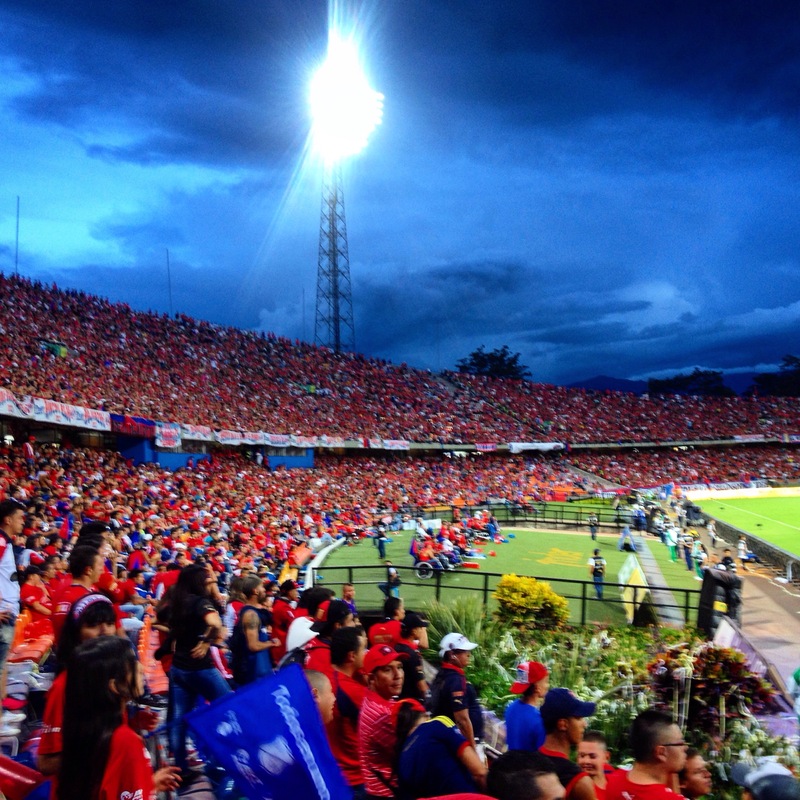 We were fortunate enough to attend the semi final between Medellin and Tolima. The atmosphere was unreal. It is unlike anyrthing I have experienced before. Colombians are extremely passionate about the sport. Lots of singing and chanting, grown men crying every time a goal is scored, throwing of streamers and running on to the field when a goal is scored. The atmosphere was electirc and a little tense at times. We saw a few fights but luckily they weren’t near us and we even saw police on horses breaking up a fight. They only serve non alcoholic beer, oposing team fans are banned and there are plenty of police and security around so all in all its a pretty safe environment to be in. You will love every minute of it. 7. Take a walk down town (el centro). After you are done looking at Botero Plaza, take a walk around the down town area, but make sure you hold on to your belongings tighly. Down town can be a little hectic, especially if you go there on a Saturday like we did. There are lots of people wondering arounds, lots of vendors shouting and trying to sell you things and plenty of intresting people to sit and watch. As I sat out on the street for 45 minutes whilst waiting for Tom to get his very bad Colombian haircut, I saw plenty of interesting people walk past, I heard lots of shouting from vendors and I saw two people being searched by the police and another two people being arrested. There is never a dull moment down town. Also, it’s a great place to buy a cheap, knock off jersey for the soccer game you are going to see. 8. Have a drink with the locals in Parque Poblado. Parque Poblado is located in the area of El Poblado, a really nice area filled with hostels, bars and resturants. Parque Poblado, like all the other parques in Medillin, is not really a park at all, but more of a square filled with a few trees and benches to sit on. On the weekends, you will find lots of locals chilling in the park having a drink. It has a really cool, friendly vibe and is a great opportunity to mix with locals and experience some real Colombian culture. Riding the Metro might sound like a weird recommendation but the Metro is a huge part of Medellin’s history. 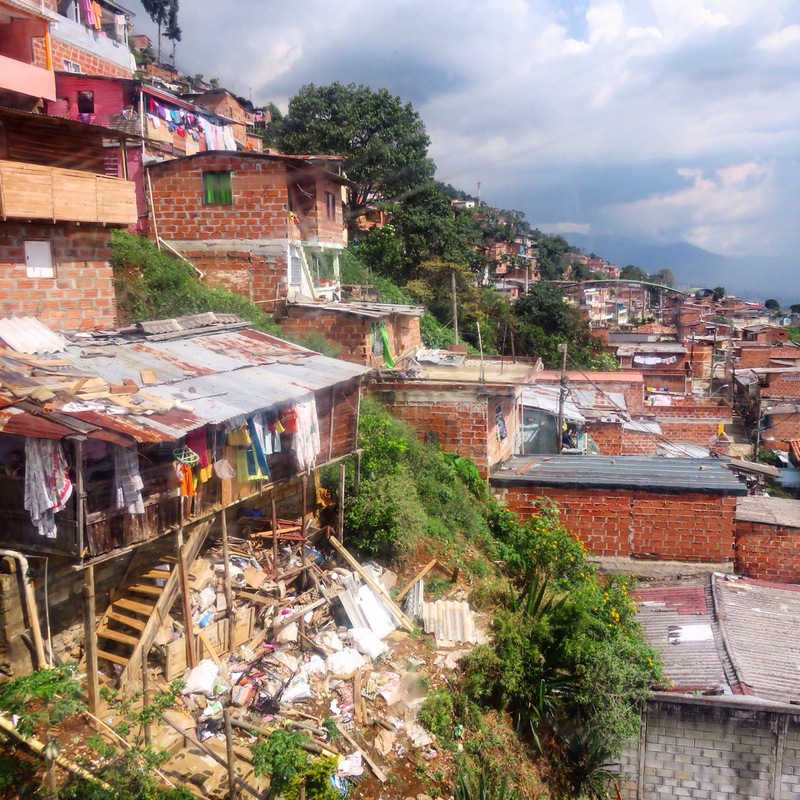 It helped to clean up the city and give the people of Medellin hope for a better future. It is completely safe to use day and night, it’s cheap, it can get you bassically anywhere in the city, It’s pretty much impossible to get lost, there is plenty of security and because the Metro is so special to the people of Colombia you wont find a single bit of grafitti or litter around. 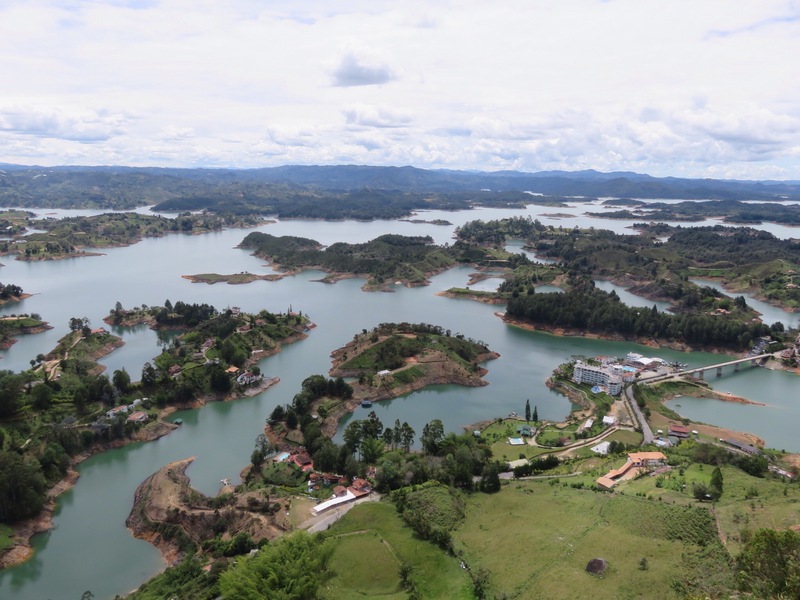 Guatape is a colourful little town located two hours by bus from Medellin. From there you take a taxi to La Piedra, a giant rock made out of Granite. 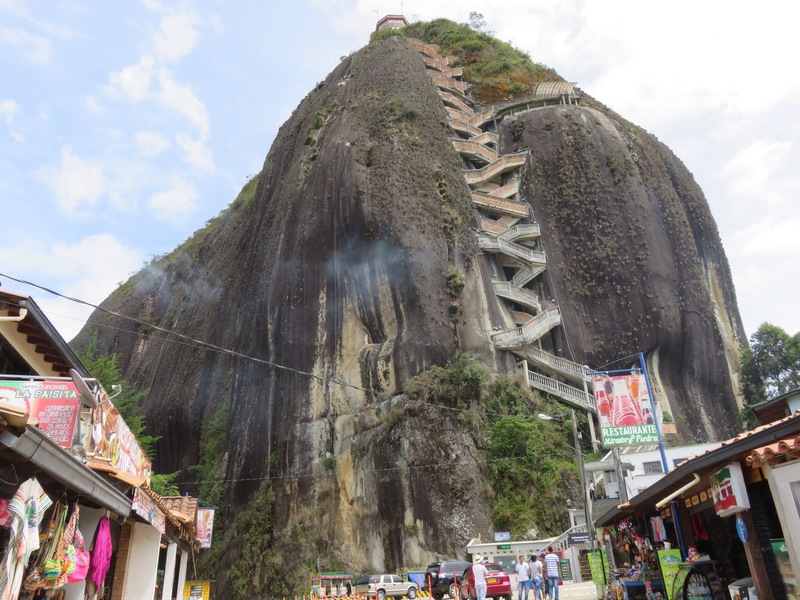 Climb up the 675 stairs and you will be rewarded with a spectacular view of the surrounding man made lakes which provides Medellin with 30% of it’s energy. The town itself is cute and colourful and is filled with plenty of activities such as water sports and zip lining. We had an amazing Indian curry at Donde Sam, a place not to be missed! Medellin, and Colombia have come so far. I learnt so much from the beautiful people of Colombia. Do not listen when people say it is unsafe and full of drug dealers. Come and see the beauty first hand!